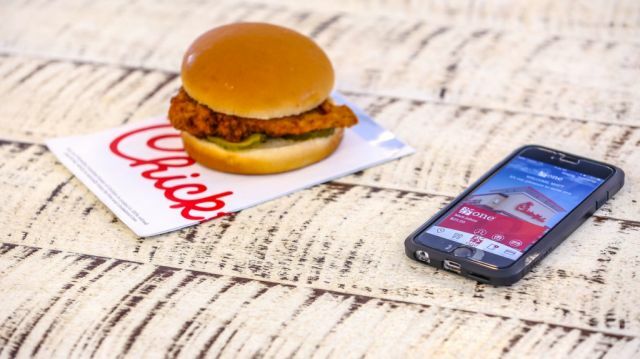 Chick-fil-A is offering a free sandwich if you download (or update) the latest version of their free mobile app, Chick-fil-A One, and create an account. Chick-fil-A One replaces the chain's previous app and includes a loyalty program that rewards customers with free food, meal customization options, and the ability to order and pay in advance (to skip the line inside and shorten the wait for your food). The app also includes nutritional and allergen information regarding the chain's menu as well as a restaurant locator. The free sandwich offer is available through June 11, 2016 and you can choose from either a Original Chicken Sandwich, Spicy Chicken Sandwich, or Grilled Chicken Sandwich. Once the offer is claimed, you have until June 30, 2016 to grab your free sandwich. The Chick-fil-A One app is available on both the Apple App Store and Google Play. Membership is open to anyone over the age of 13. Chick-fil-A first launched a mobile app back in 2012 and started trialing mobile ordering in 2013.